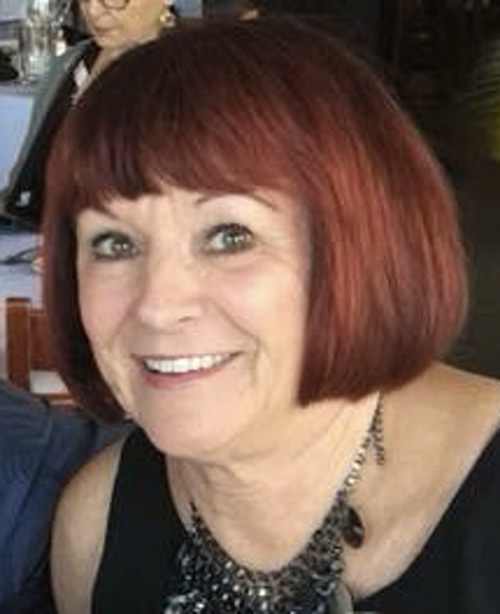 Mary Louise Sebock (nee Clapacs), age 71, passed away suddenly April, 10, 2019 in Naples, Florida. Born in Cleveland and raised in Euclid, Mary Lou was born the eldest of four children to her beloved parents, John and Jennie Clapacs. She spent her childhood surrounded by the love of her siblings, cousins and large extended family. After graduating from Euclid High School in 1966 where she was appropriately voted ”most organized,” she began working at the Addressograph-Multigraph Company. Shortly thereafter, she accompanied a friend to visit the local fire station where she met a young man named Joe who would become the love of her life. After marrying in 1972, they moved to Mentor to start a family and had two amazing, talented and beautiful daughters who definitely did NOT write this obituary. Mary Lou was heavily involved in her children’s schooling as a PTA room mother and staple at Fairfax Elementary. She reentered the workforce in the late 80s, holding positions at both Ohio Water and Professional Houseware Distributors (PHD). Mary Lou loved reading, shopping, and cleaning. She was a professional worrier, master at word games and knew all the answers on Jeopardy. She spoke to her sister and daughters a ridiculous amount of times a day. She was a Facebook fanatic, which helped her connect with family and friends as she split her time between Ohio and Florida in recent years. She was happiest when with her granddaughters and was famous for her daily countdowns leading up to her frequent visits to California. She and Joe enjoyed retirement in Naples going out to eat, attending Florida Everblades games and visiting local casinos where she never met a slot machine she didn’t like. They shared a home, family and lifetime of memories that Joe will cherish forever. Mary Lou was the loving wife for 46 years of Joe Sebock; mother of Dawn Sebock (Mike Kilzer) and Dina (Tim) Hillier; grandmother of Raya and Adelle; daughter of the late John and Jennie Clapacs; sister of John (Nancy) Clapacs, Clara (Chris) Stanic, Robert Clapacs, and Maureen (Joe) Richardt; Also remembered by her best friend, Mary Ann Griffin, many loving nieces, nephews and friends. The Sebock family will receive friends from 2-8 PM Monday, April 15, 2019 at McMahon-Coyne-Vitantonio Funeral Home, 6330 Center Street, Mentor. Funeral Mass will be held at 10AM Tuesday, April 16, 2019 at St. Mary of The Assumption Catholic Church, 8560 Mentor Ave., Mentor. Burial at All Souls Cemetery. In lieu of flowers the family suggests a donation to the Parkinson Association of Southwest Florida. Or simply spend time with a loved one and share a photo on Mary Lou’s Facebook page so her family can share in your memories.